Allen West Republic: Florida Rep. and Tea Party favorite Allen West, who recently lost re-election to Democratic challenger Patrick Murphy, appeared on National Public Radio Friday. Far from despondent, West spoke of Washington politics and his future role with his characteristic assertive, yet calm, tone. MARTIN: So what’s next for you? WEST: Look, you know, God closes a door so that he can open up greater doors. I will continue to, you know, stand up and fight for this country. That’s my goal. I have two daughters, 19 and 16, and I want to make sure that they grow up in a great America that provides them all the opportunities that it provided to their mother and father. 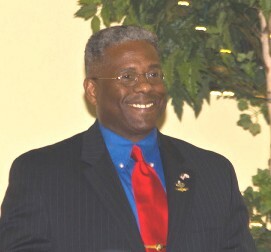 MARTIN: Congressman Allen West is completing his term in Congress. He was kind enough to join us from a House recording studio on Capitol Hill here in Washington, D.C.
WEST: And always remember, Abraham Lincoln only served one term in Congress, too. MARTIN: Duly noted. Congressman West, tha Abraham Lincoln, Allen West, Capitol Hill, Democratic, Florida, Patrick Murphy, Tea Party, United States.nk you so much for speaking with us. Many commenters are interpreting West’s closing remarks as a hint that he may consider running for president some day. Perhaps, though, he only meant to say that one can still be a pivotal figure, even if they only serve one term in Congress. Tags: Abraham Lincoln, Allen West, Capitol Hill, Democratic, Florida, Patrick Murphy, Tea Party, United States. To share or post to your site, click on "Post Link". 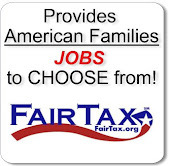 Please mention / link to America's Best Choice. Thanks!